Google has this week rolled out a new update to its Google Maps service which brings with it a new feature called Public Alerts, adding a great way to find out emergency warnings that might be in your location via Google Maps. Today the new update launches Public Alerts on Google Maps, relevant weather, public safety, and earthquake alerts from US National Oceanic and Atmospheric Administration (NOAA), the National Weather Service, and the US Geological Survey (USGS). Which are all now accessible online when you search via Google Maps. For example if a major weather event is headed for your area, you can now search maps online for the information you need: What’s happening? Where and when will it strike? How severe will it be? What resources are available to help? Google explains that their Google Crisis Response team works on providing critical emergency information during crises. Google’s goal is to surface emergency information through the online tools you use everyday, when that information is relevant and useful. 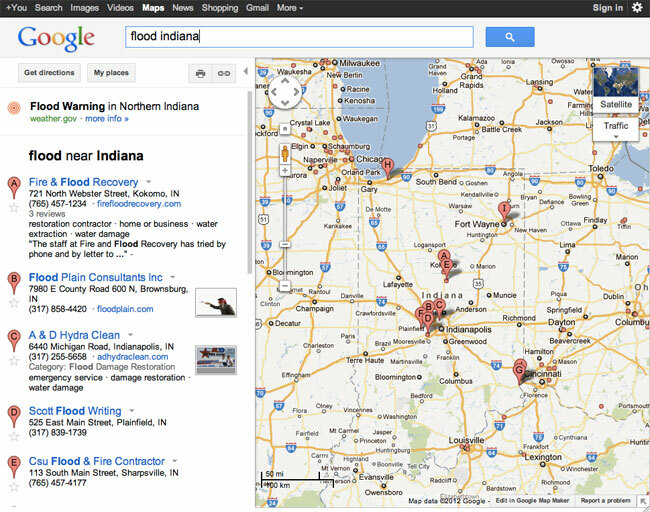 Whether you see an alert depends on which alerts are active at a given location, their severity, and your search query. For more information on the new service jump over to the official Google Blog post.